I am popping in today with a short and sweet little post. 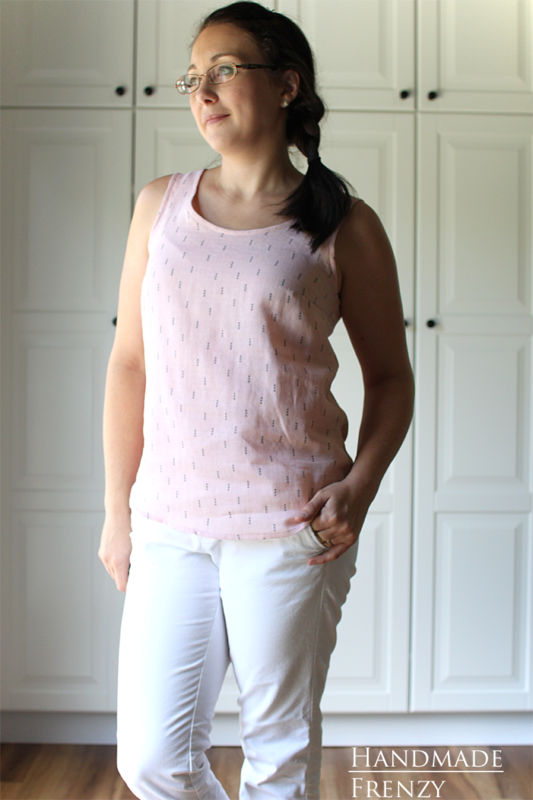 I'm keeping it short and sweet because I have a full-on comparison post of the two tank patterns you see here, up on the Imagine Gnats blog today. 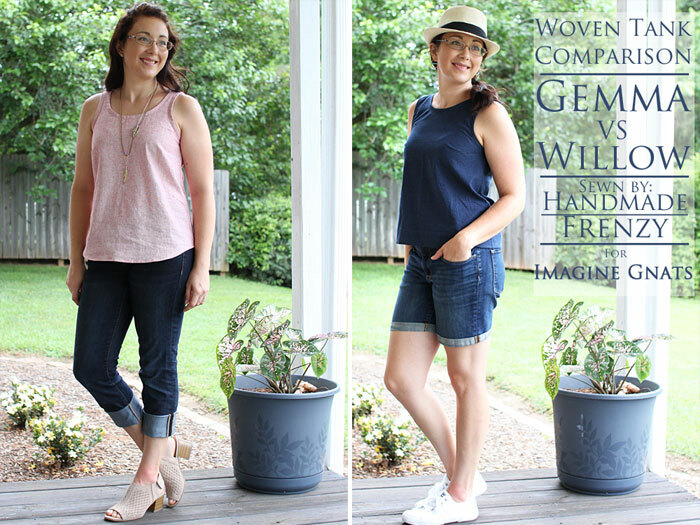 The tanks are the Gemma Tank by Made By Rae, and the Willow Tank by Grainline Studio. 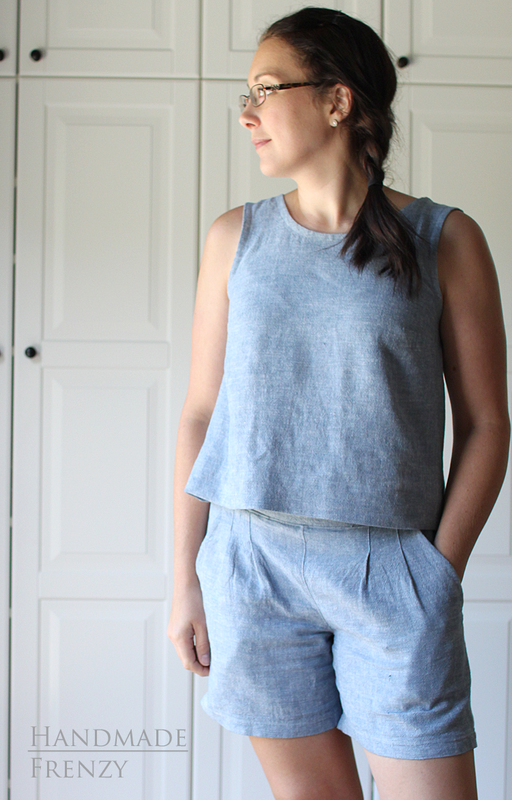 I'm posting these photos here as a reference, because these are my wearable muslin versions and you can see the second versions up on Imagine Gnats blog, along with alllllll the fit details and the nitty gritty of all the adjustments I made. 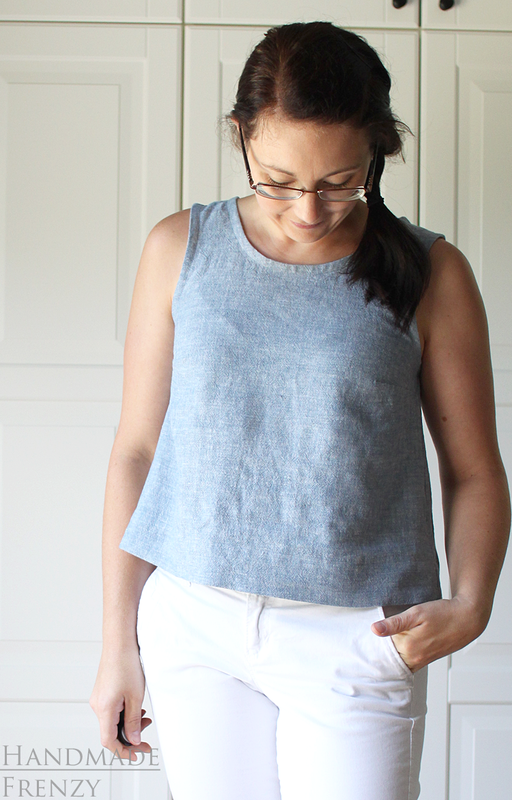 I'll list the adjustments I made here to the patterns before ever even cutting into fabric. 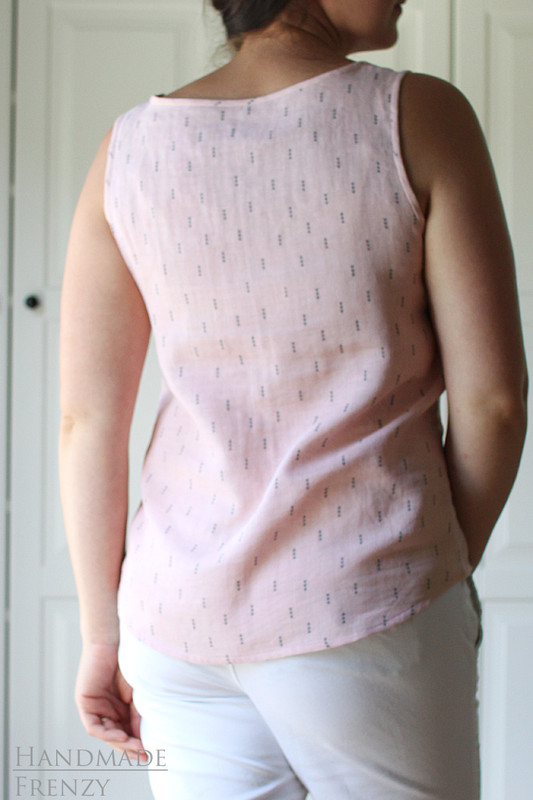 First up is the Gemma Tank, made in double guaze (from fabric.com, no longer available). I did a 1/2" sway-back adjustment and shortened the length 1", I did narrow the back piece at the hip because I ran out of fabric, oy. But that was it, short and sweet. As you can see, the dart hits me perfectly on this version, but there are major gaping issues going on up top that I addressed in my next version (see post here). 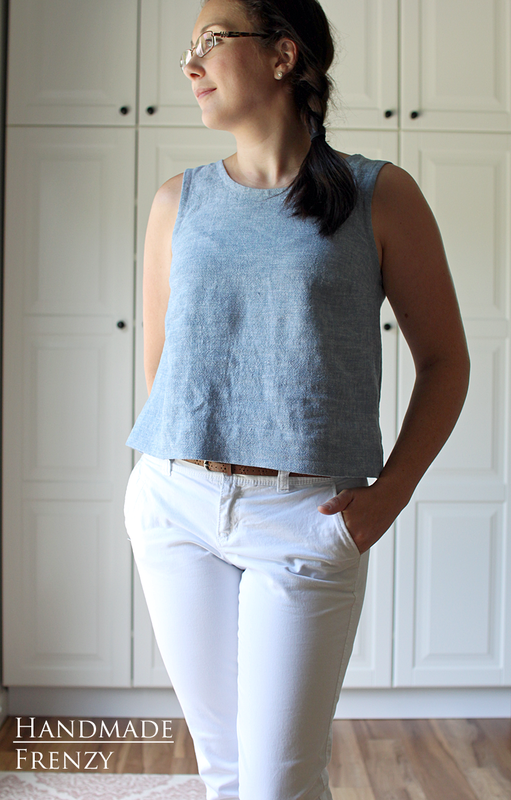 Next up is the Willow Tank, I made the cropped version, using the tutorial here. I made this version in Brussels Washer Linen (also from fabric.com, see here), and other than cropping, the adjustments I made were to move the dart up a whole inch, scoop out the arm holes a bit and a 1/2" swayback adjustment. As you can see, the fit here is pretty near perfect! But in my final version I have quite a bit of pulling at the upper bust. I think this is due to the nature of the fabric, this fabric relaxes quite a bit. What do you think of the monochrome look? I love it on Pinterest! But I'm not sure I love it yet on myself, lol. Below is a peek at the final versions I made for the comparison post over at Imagine Gnats! Be sure to head over there for tons more details! 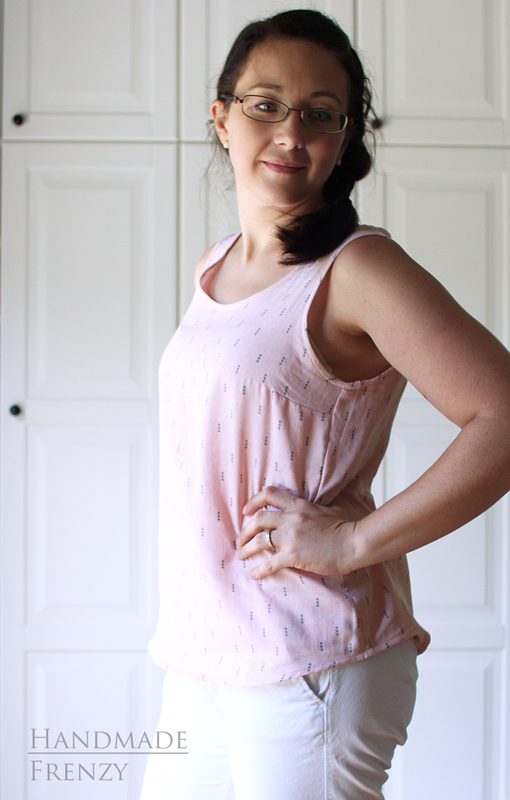 Love the gemma tank! It is a bit more my style them the willow. And where did you get those booties? They're awesome! Thanks so much Renee! The booties are from Kohl's. I was so happy when I found them, they go with everything!